Mt. 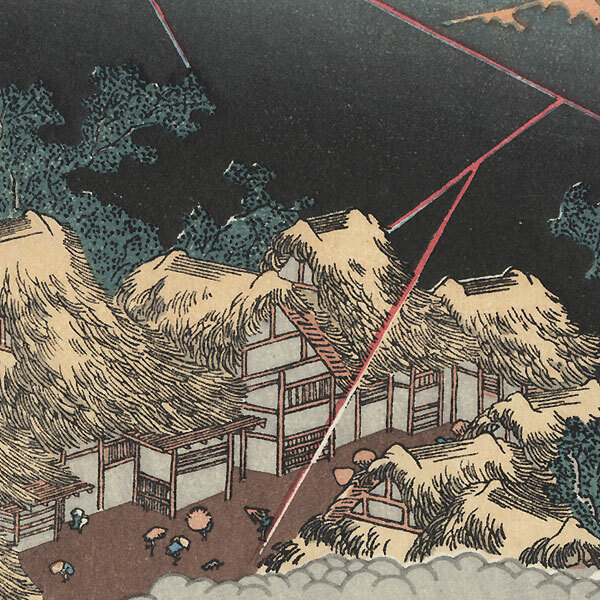 Fuji in an Evening Shower - Striking Hokusai print depicting a thunderstorm over a village, lightning zigzagging across the sky in jagged lines above the rooftops. 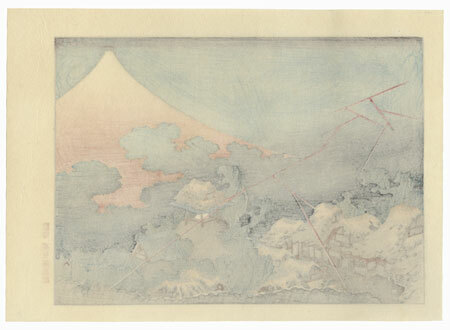 Obscured by clouds, Fuji rises beyond. 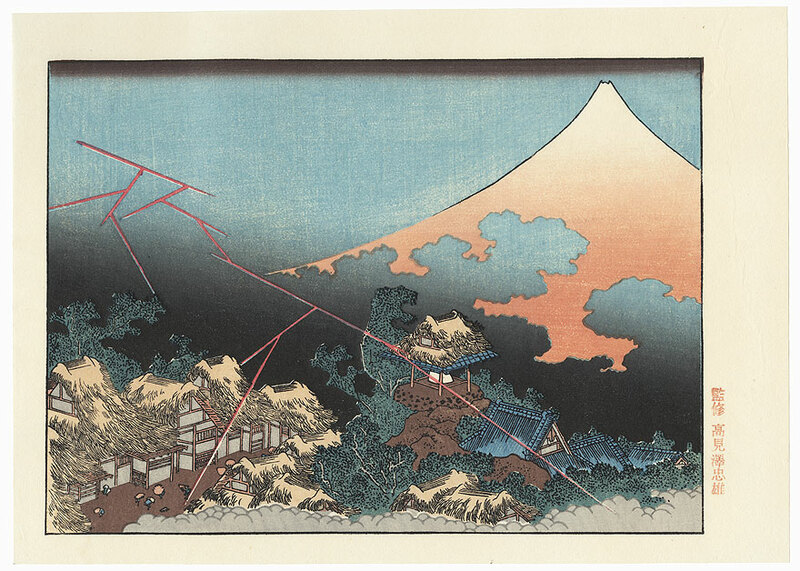 A fantastic design with fine bokashi shading and attractive color.